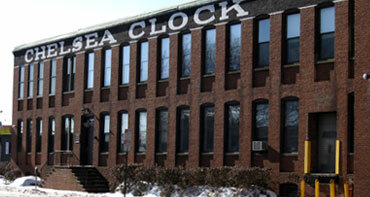 We have been a dealer for Chelsea Clocks since our bicentennial year, 1976. In thirty-five years we have sold and serviced clocks that have passed from one generation to another and to another. We have seen the age of the digital clock come and go, taking a lot of good clock and watch companies with it, but we remain true to our roots in sales and service of fine analog timepieces. Yankee Quality. Western Friendliness. No Attitude. 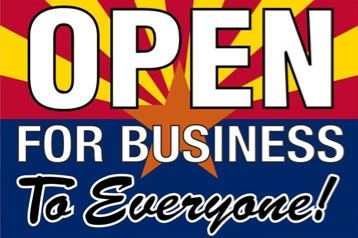 We are based in the Southwest where people just treat each other with more dignity and respect than you find in other places. You won't get a bunch of big city attitude from us - ever. We feel that YOU are doing us a favor by being our customer, not the other way around. Why "call, email or click for the price" on this site? Manufacturers sometimes ask that retailers not display a price if it drops below a certain amount. The "add to cart" message indicates that the price of the item is so low that the manufacturer requested that it not be advertised (that is, displayed). In our brick-and-mortar store, you would need to ask a salesperson what the price of the product is. Here, by clicking on "add to cart" you are essentially asking to see the price, at which point we show it to you. Please contact me or use the “add to cart” buttons to add your item to a shopping cart to see your price. You may remove the item or cancel the sale without any obligation, whatsoever on your part. Every merchant has a choice to make regarding payment methods. I have chosen PayPal for a variety of reasons. This service is super-secure. I never see your account number or other private information. That stays between you and the bank. PayPal adds an extra layer of security for both of us by letting us both know that we are dealing legitimately and safely in what has become a difficult world. PayPal also allows me to maintain my generous discount structure while still offering the convenience of credit card purchases to my customers by helping me to control costs on this end and eliminating the need to manage a total of five different merchant accounts and the associated daily accounting.